Not so much a general sports blog as an irregularly updated desperate plea for help. Believe it or not, even before his team beat the New England Patriots last Sunday to advance to the Super Bowl, there was thought given to writing an essay called, "Why Peyton Manning Is Not a Choker." It wasn't really about Peyton Manning, the Indianapolis Colts quarterback. It was about how people relate to sports, and how exasperating it can be for someone who tries to do so on a somewhat adult level, based on the premise that how you relate to the Stuff You Like -- sports, music, movies -- says a lot about how you relate to Serious Issues, assuming you even do. Well, obviously some people can separate their Stuff from the Serious and the rant was getting way too John Cusack in High Fidelity, with on-base percentages instead of bass lines. During the run-up to the Colts-Patriots showdown, all you heard was the tired refrain of Manning vs. Tom Brady, complete with the dumbed-down perceptions. Tom Brady? 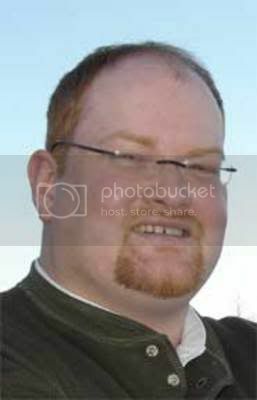 The winningest winner of our time, with the million-watt smile that melts the elastic bands in supermodels' undergarments and could power Yellowknife in the dead of winter. Peyton Manning? Choker! Obviously, though, there's a lot more to both players than the simple choker/winner characterizations. What's frustrating to a sports nerd is it feels like you're just beating your head against the wall if you try to take the conversation up a notch. Now, why is there a picture of former Montreal Expos leadoff man Tim Raines with this post? Well, Tony Gwynn and Cal Ripken Jr. were easily elected to the Baseball Hall of Fame two weeks ago. It was open and shut for both. But here's the thing: If people only use a couple of arbitary metrics -- 3,000 hits, 500 homers, MVP awards, etc. -- to decide whether or not to vote for a guy for Cooperstown, then how do you make the case for a ballplayer who was just as great, but doesn't have something like spending 20 years with one team or making it to 3,000 hits to burnish his image? This is important since Raines is appearing on the ballot for the first time next year. It's hard to know, 11 months before the vote, whether Raines will be a first-ballot Hall of Famer. However, while I was mulling this over, Hardball Times' Dave Studeman wrote a series this week ranking baseball's 80 greatest everyday players (i.e., non-pitchers), using a fun little stat called Win Shares Above Bench. 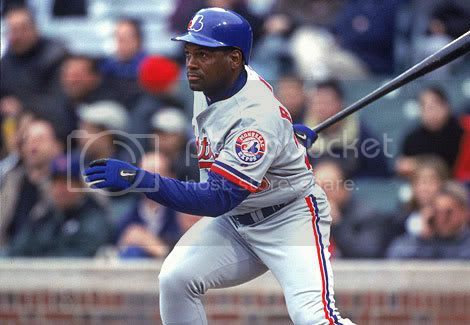 Raines, who didn't hit .300 for his career or total 3,000 hits (largely due to injuries), is ranked 44th all-time and is a "no-brainer Hall of Famer," according to Studeman. Only one non-Hall of Famer ranked higher than Raines. Hardball Times, using a system that tries to takes the full measure of a ballplayer instead of cherry-picking one or two attributes to confirm one's own prejudices, says the Expos star was better than several of his 1980s-vintage infielders and outfielders who are in Cooperstown: Eddie Murray, Wade Boggs, Robin Yount, Paul Molitor, Dave Winfield, Ryne Sandberg and dunh dunh dunh dun dah, Cal Ripken. However, if people want is the image and a few easily communicated stats, how do you convince any non-believer Raines should be in there? If you try to explain secondary bases, or secondary average (extra bases on hits, walks and steals divided by at-bats), or stolen base percentage, you end up looking like the A-hole who gets off on talking over people's heads. However, if people aren't interested in having a sophisticated argument about sports, how do you even talk to them? So these days, when I should be thinking about, oh, a million other things, I wonder if our continuing struggle to understand almost anything complex, to reject anything nuanced, is going to cause the baseball writers to have a total brain fart with Raines in 2008 and former Blue Jays star Alomar when he goes on the ballot in 2010. OK, I sound crazy, but back in '03, when Gary Carter entered the Hall, the fine Globe and Mail baseball writer Jeff Blair wrote the "chances are overwhelming" that no one would else would be inducted as a Montreal Expo. Blair, who's an astute baseball writer, deserved the benefit of the doubt then and still does today -- it could have been a slip committed while on deadline -- but for someone who once covered the Expos to not have Raines' greatness firmly stamped in his cranium was a little worrisome. Similarly, Hardball Times ranks Alomar as baseball's 64th-best everyday player -- ahead of fellow 1992 Jay Winfield (a first-ballot Hall of Famer in 2001), and 15 spots ahead of Sandberg, the most recent second baseman to go into Cooperstown. Still, there are arguments -- not necessary good arguments, but ones you can expect to hear -- against him. Namely, Alomar changed teams several times and did not make it to 3,000 hits. Maybe Alomar will be a shoo-in three years from now, but we don't know that, and hopefully you can understand why there's serious doubt. Just ask yourself: What's more likely to get mentioned when the 2010 Cooperstown debate heats up in November of '09: Alomar's five seasons with a .400 on-base percentage, or that he spit on an umpire? Please don't take this as me lashing out. It's just vexing that I can't get it across to people that Peyton Manning isn't a choker, and that Tim Raines is a drop-dead first-ballot Hall of Famer. I don't understand the human condition well enough to get that across. By the way, small world: As a catcher on his high school baseball team, Tom Brady was drafted by the Montreal Expos. That begs the question: Would Brady be pulling Gisele Bundchen and Bridget Moynahan if he was now the backup catcher for the Washington Nationals? He probably would, since he's Tom Brady. That's all for now. Send your thoughts to neatesager@yahoo.ca. I won your Ottawa Sun's contest for the tickets to the Bruins game at the Bank this Saturday. OttawaFan, very happy for you... that's all I have to save. Alas, the Rock (double entendre) is hilarious if maybe even unintended. Tim "rock" Raines...a.k.a Tim "slide head first so I don't break the illicit 'rock' in my back pocket" Raines. (whew that was a long one). I know, I know... the Expos would have won a few pennants bck in the day if "snow skiing" hadn't been their other pastime -- and we're not talking about going to Mt. Tremblant in the off-season. But it was pretty drug-drenched era and Paul Molitor's in the HOF after admitting to cocaine use. Mobile Apps for Business: Is this the Future? SITE DEAD!!! GO TO NEW SITE! Should Canada be broken up? That's It. That's All. That's Everything. The Postmen // A Sports Blog // Chicago, IL. "You should try betting online, less chance of getting your shins broken. Party Bets has plenty of rooms."